Background: Iatrogenic urethral injury is a well-known risk of urinary catheter insertion. Associated morbidities include stricture formation, catheter associated infection, risk for instrumentation, and extended length of stay. Yet, insufficient attention is paid to its prevention. Objective: This study aimed to assess the effectiveness of a computerized ordering system in reducing iatrogenic urethral injuries in men at high risk for iatrogenic urethral injury from traumatic catheterization. Methods: A pre-post study was performed to assess the impact of a computerized ordering system that recommended a 16 Fr Coudé-tip catheter be used instead of the standard 16 Fr Foley catheter for men at high risk for difficult catheter insertion. The intervention was implemented in October 2012. The rates of traumatic and non-traumatic insertion consults were compared between the pre-intervention (10/1/2010-09/30/2011) and post-intervention (10/1/2012-9/30/2013) time periods. Results: The results showed that 78.5% of patients with iatrogenic urethral injury possessed at least one identified risk factor for difficult catheterization. There was no significant difference in frequency of traumatic or non-traumatic insertion consults between the pre- and post-intervention cohorts. Conclusion: The current study highlights the possibility of preventing traumatic insertions by targeting men at high risk for iatrogenic injury. Without a simultaneous plan for improving catheter placement awareness and training, any change in the ordering process is unlikely to succeed on its own. Haley RW, Hooton TM, Culver DH, et al. Nosocomial infections in U.S. hospitals, 1975-1976: estimated frequency by selected characteristics of patients. Am J Med. 1981;70(4):947-959. doi:10.1016/0002-9343(81)90561-1. Dobrowolski ZF, Weglarz W, Jakubik P, Lipczynski W, Dobrowolska B. Treatment of posterior and anterior urethral trauma. BJU Int. 2002;89(7):752-754. doi:10.1046/j.1464-410X.2002.02719.x. Fenton AS, Morey AF, Aviles R, Garcia CR. Anterior urethral strictures: etiology and characteristics. Urology. 2005;65(6):1055-1058. doi:10.1016/j.urology.2004.12.018. Kashefi C, Messer K, Barden R, Sexton C, Parsons JK. Incidence and prevention of iatrogenic urethral injuries. J Urol. 2008;179(6):2254-2257; discussion 2257-2258. doi:10.1016/j.juro.2008.01.108. Leuck AM, Wright D, Ellingson L, Kraemer L, Kuskowski MA, Johnson JR. Complications of Foley catheters--is infection the greatest risk? J Urol. 2012;187(5):1662-1666. doi:10.1016/j.juro.2011.12.113. Aaronson DS, Wu AK, Blaschko SD, McAninch JW, Garcia M. National incidence and impact of noninfectious urethral catheter related complications on the Surgical Care Improvement Project. J Urol. 2011;185(5):1756-1760. doi:10.1016/j.juro.2010.12.041. Buddha S. Complication of urethral catheterisation. Lancet. 2005;365(9462):909. doi:10.1016/S0140-6736(05)71051-5. Liu JJ, Guo DP, Gill H. Patterns of urinary catheter consults in a tertiary care hospital. Can J Urol. 2013;20(6):7046-7049. Villanueva C, Hemstreet GP 3rd. The approach to the difficult urethral catheterization among urology residents in the United States. Int Braz J Urol. 2010;36(6):710-715. doi:10.1590/S1677-55382010000600009. Styn N, Latini JM, Crossley H, Wan J. Evaluating The Impact Of Male Iatrogenic Urethral Injuries During Urinary Catheterization. J Urol. 2012;187(4):e380. doi:10.1016/j.juro.2012.02.1031. Johnson EK, Filson CP, Faerber GJ, Park JM, Bloom DA, Wan J. Prospective tracking of pediatric urology consults: knowing is half the battle. J Urol. 2012;187(5):1844-1849. doi:10.1016/j.juro.2011.12.097. Sullivan JF, Forde JC, Thomas AZ, Creagh TA. Avoidable iatrogenic complications of male urethral catheterisation and inadequate intern training: a 4-year follow-up post implementation of an intern training programme. Surgeon. 2015;13(1):15-18. doi:10.1016/j.surge.2014.02.001. Thomas AZ, Giri SK, Meagher D, Creagh T. Avoidable iatrogenic complications of urethral catheterization and inadequate intern training in a tertiary-care teaching hospital. BJU Int. 2009;104(8):1109-1112. doi:10.1111/j.1464-410X.2009.08494.x. Taleschian-Tabrizi N, Farhadi F, Madani N, Mokhtarkhani M, Kolahdouzan K, Hajebrahimi S. Compliance With Guideline Statements for Urethral Catheterization in an Iranian Teaching Hospital. Int J Health Policy Manag. 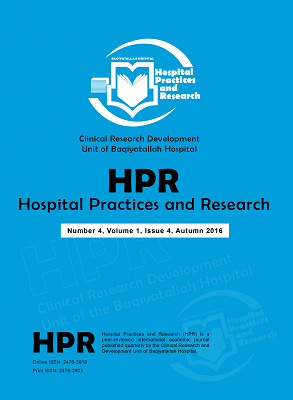 2015;4(12):805-811. doi:10.15171/ijhpm.2015.128. Davoodian P, Nematee M, Sheikhvatan M. Inappropriate use of urinary catheters and its common complications in different hospital wards. Saudi J Kidney Dis Transpl. 2012;23(1):63-67.